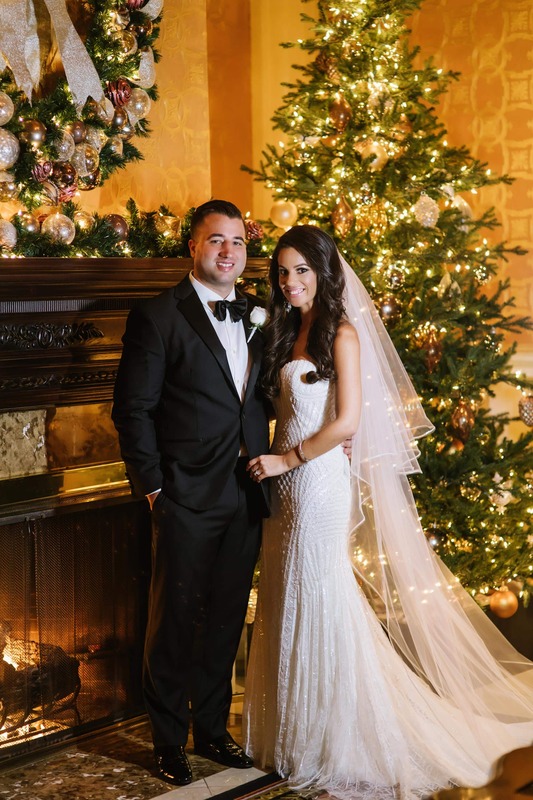 Lauren and Greg got married at The Lenox on Saturday, December 2, 2017. 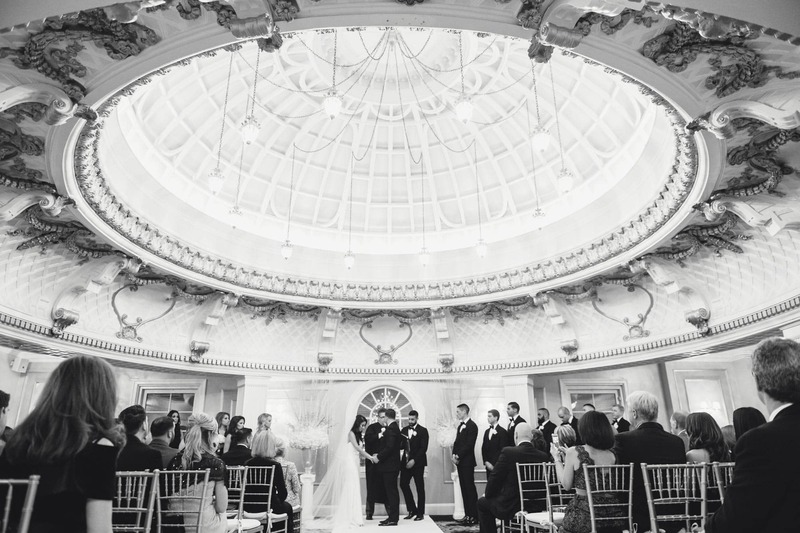 Now that Lauren has had some time to reflect, she has shared all the most memorable moments of their big day with us! Greg and I met our freshman year of college at the University of New Hampshire. We were best friends for years before we started dating shortly after college. We were together for 5 years before Greg proposed in Punta Cana in December of 2016. 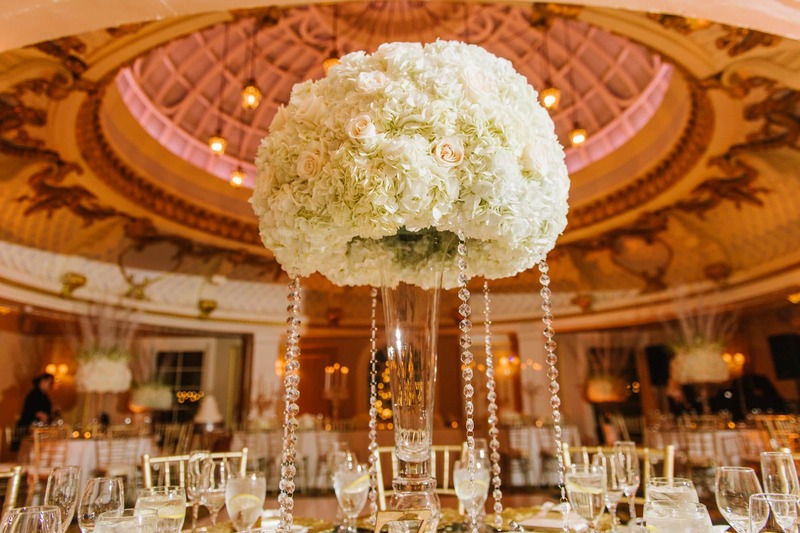 Why The Lenox for Your Wedding? My family and I always loved visiting The Lenox Hotel, especially around Christmas time with the beautiful decorations. 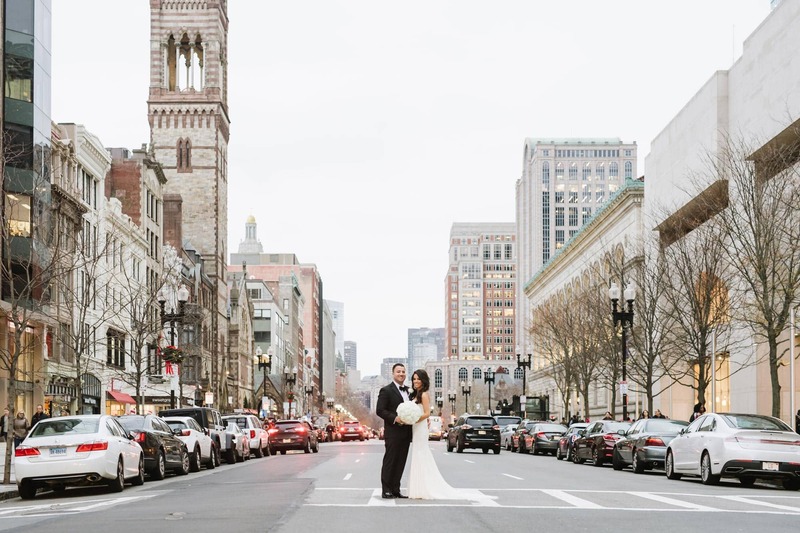 Back Bay has always been my favorite area of Boston, so I knew I wanted to get married there. 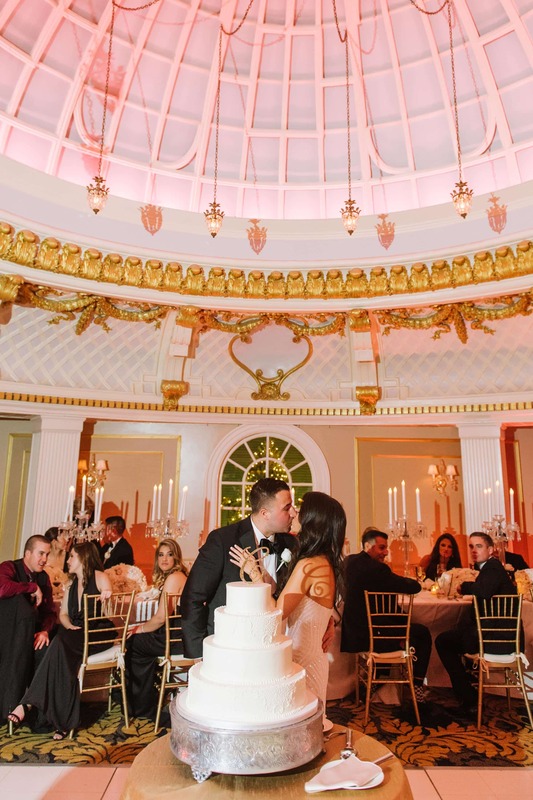 Upon visiting The Lenox and seeing how beautiful and unique the Dome Room is, I knew it was the perfect place for the gold and white winter wedding I was envisioning. 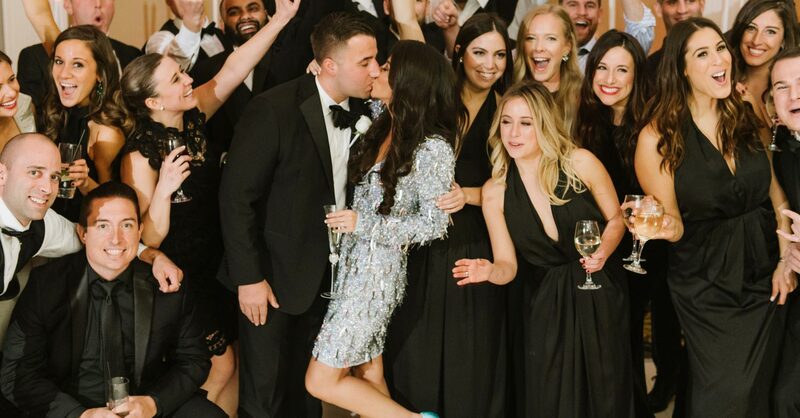 We had so many favorite moments from our wedding day! 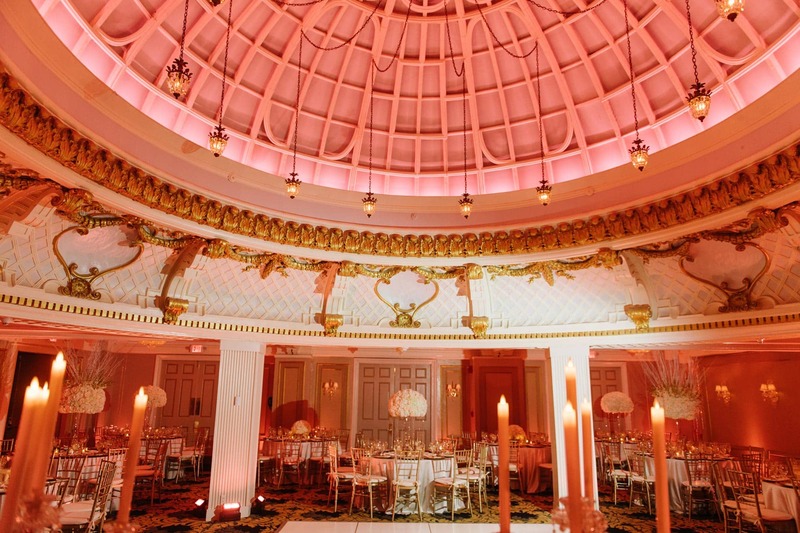 One of the best was walking into the Dome Room for our reception. It was such a transformation from the ceremony and I was so happy to see my vision come to life. 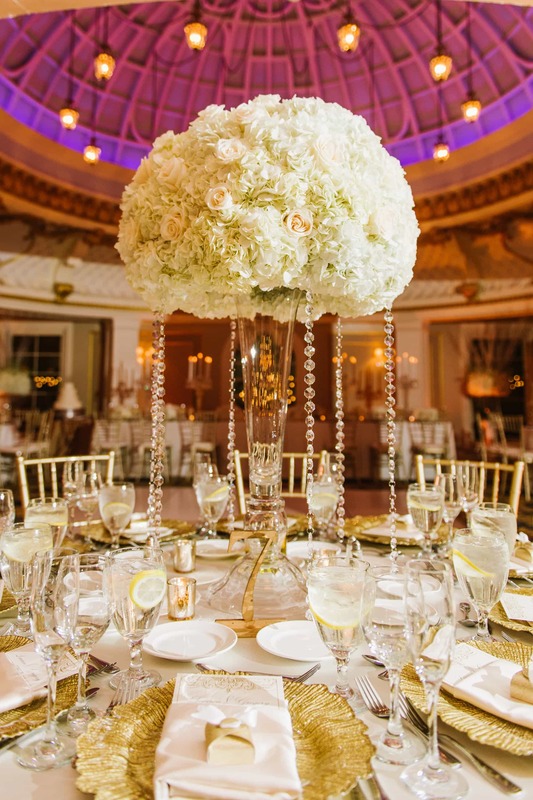 The staff at The Lenox Hotel were amazing – Alison was such a pleasure to work with from start to finish and made the planning process so enjoyable. 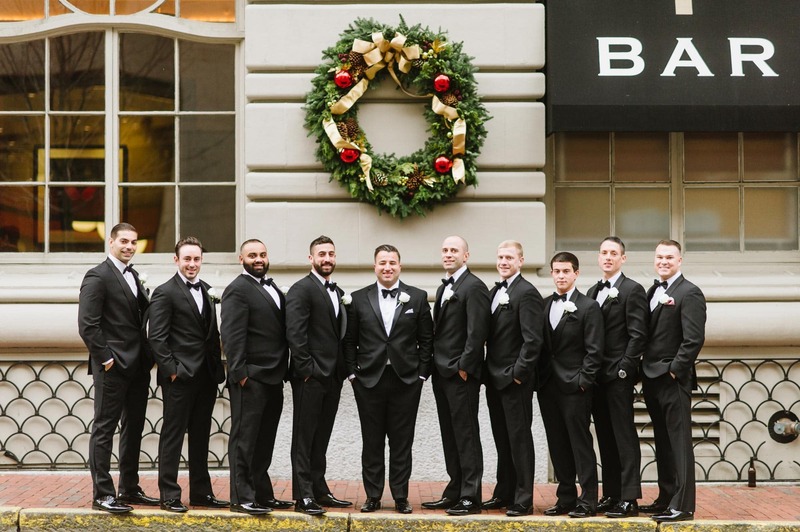 It is such a beautiful and unique venue, there are so many great locations for photos (the roof being one of my favorites), and the service is impeccable! 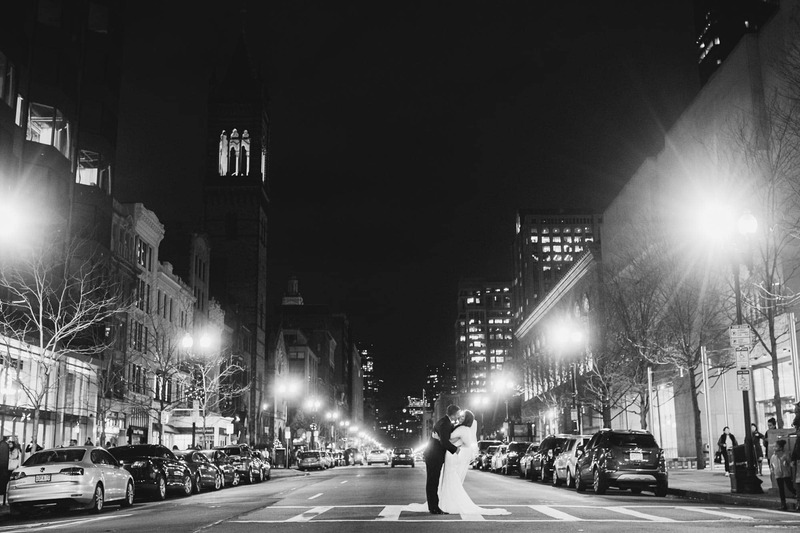 Any Advice For Couples On Their Big Day? 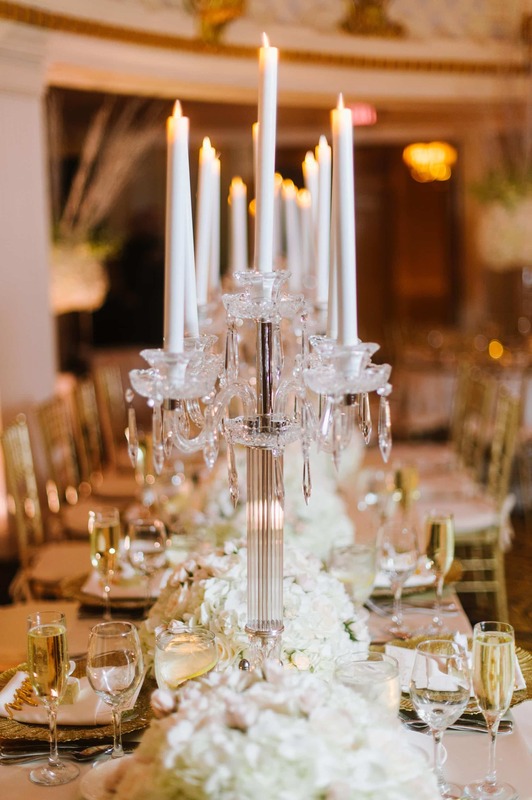 Enjoy the planning process and the day from start to finish! Everyone told us how quickly it would go by and it certainly did (a great photographer is a must to capture all these moments)!